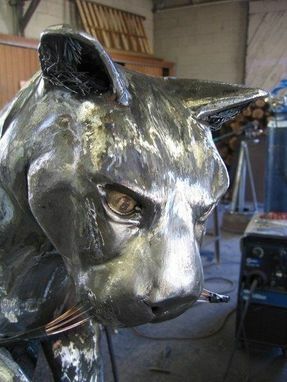 Steel Mountain Lion with Brazen eyes. Fully fabricated (welded) sculpture. Shown here with an interior finish. Your wildlife sculpture will be completely original and customized to your setting.